The recently launched IELTS Speaking WhatsApp has been very active since last week. In fact, several IELTS candidates practice speaking with a partner daily through the group. If you are looking to find a speaking partner for IELTS, join the IELTS Speaking practice group today! Given how useful the speaking group has been in helping members, I've also setup a FREE IELTS Writing Focus WhatsApp Group. This group's purpose is to help IELTS candidates discover and share resources, tips and strategies to improve their scores in the IELTS Writing module. Ask questions and help each other. I will try to pitch in and answer questions too from time to time. Share your recent IELTS exam topics. Make sure you have read the rules below to avoid being blocked form the group. If you feel any member has violated the rules of the group, report them to me. Useless links, photos and videos. Eg. Good morning and good night messages, jokes etc. Any other language except English through any medium text ,voice ,image or video . 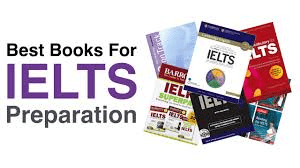 All these can help you prepare for IELTS exam.